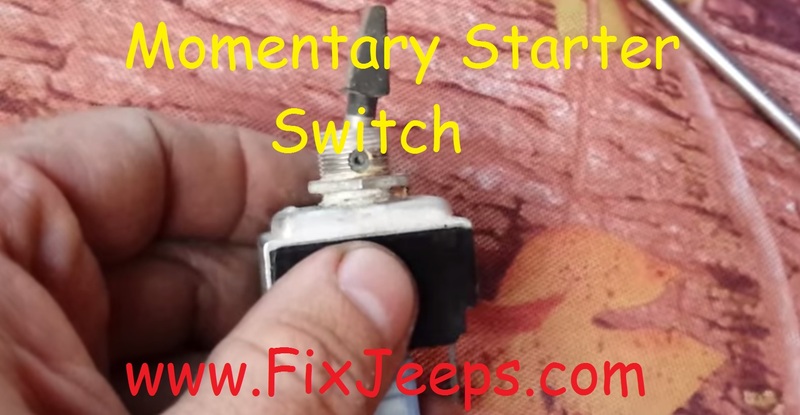 Jeep Electrical issues - Fixes and mods for the Jeep Wrangler. Jeep Electrical issues, no one likes chasing those gremlins. Here I go though different fixes, mods and scenarios that can arise on a Jeep Wrangler. OK .. it's not just about the work. There are cool modifications that can be added. Mods such as head light upgrades (all YJ's and XJ's need that!). Custom off road lights and/or interior lights. Using different switches and relays, also how relays work and what to use them for. 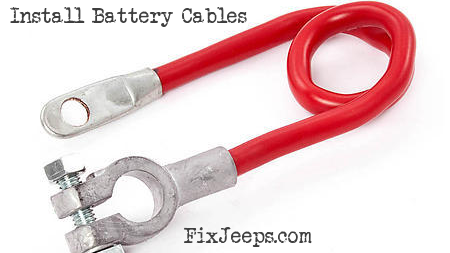 No secret that Wranglers that have been used and abused have electrical issues. It's not really that the Jeeps aren't solid because they are. It's simply the fact that when they are used as a toy getting water and mud into every orifice the poor machine has. Poor electrical contact issues are going to surface eventually. If it doesn't, count your lucky stars!! 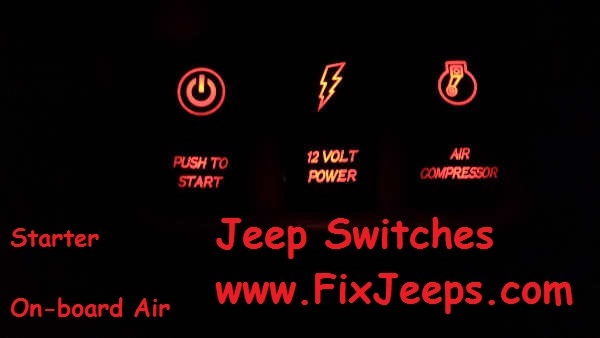 Jeep Wrangler electrical modifications for upgrades are needed a plenty!! As much as the YJ's and XJs are rugged and fun. They are seriously lacking in electrical accessory performance. This is the first set of many new switches I will be installing in my Wrangler YJ. This set starts the Jeep and activates the on-board air compressor. I replaced the momentary toggle that I had installed before. Click here for more ..